The ONE course that will give YOU CANNONBALL DELTS with ONE simple exercise. Build RAGING “bear like” upper body strength with this forgotten, “secret” exercise! We all want the proverbial “shoulders like boulders” look, but how many folks today can truly say they have powerful and well developed shoulders that smack of raw power, and brute, functional strength that comes in handy in all situations? Most gym goers today are bombarded with the “more is better” principle, and waste way too much time on doing endless sets of lateral raises, front raises, and other unnatural isolationist movements that don’t accomplish very much at all, and end up leading to injuries down the road. I know people whose shoulders are so shot from lifting heavy weights that even brushing their teeth in the morning is a painful chore for them. OUCH! But guess what, building healthy and powerful shoulders that look like they belong on a adult male grizzly doesn’t have to be a painful task – and it certainly doesn’t have to be a time consuming one either. Did you know that you can get in a solid shoulder (and overall upper body) workout in less than 15 minutes time? More to the point, did you know that such a workout will give you the functional strength you always desired – along with muscles that don’t quit no matter what the situation is? And finally, did you know that you need just ONE movement to accomplish all this? I bet you hadn’t thought of it that way before – and that is precisely why I’m putting this course out there, my friend. Just so you know, this course is NOT about doing endless sets of meaningless exercises with light weights to get a “pump”. It’s not about getting “shredded delts” that look nice, but don’t have the power to back up the look. And it’s certainly not about spending all day in the gym figuring out the latest exercise on the block either. Well, so what is it then? Well, simple – it’s a HANDSTAND PUSHUP. Simply put, that means performing a pushup on your hands (while “standing on your hands”, if you prefer). Doug Hepburn – one of the forgotten “masters” of the handstand pushup! 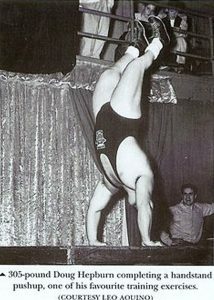 Back “in the day”, the handstand pushup (along with the pull-up) was a staple in most serious strongmen’s and bodybuilder’s routines. This was back when we didn’t have the artificial “six pack” craze, and certainly none of the machines that take up space in gyms these days – so the only real option for most strength enthusiasts was to use your bodyweight to get fit. Yes, many of them were serious weight lifters as well, but the fact remains that bodyweight exercises such as the handstand pushup were a vital part of their exercise routines as well. These days, folks often shy away from the hard exercises claiming “they’re too tough”, or “it’s not safe for overweight people”. And my opinion is? In one word – baloney. I’d explain why, but first, check out the picture beneath – this is the famous Doug Hepburn doing handstand pushups at a mind boggling 305 pounds of body mass – and this without support! I dont know about you, bro, but to me THAT – IS – SUPER STUD LEVEL! And to make things even more interesting – he was reputed to have done these pushups for 10 to 15 reps per set. Makes you stop and think, doesn’t it? I don’t know about you, but methinks results say it all, and if you needed any further proof of what handstand pushups can do for a man – well, the picture above says it all. Was on my way up a flight of stairs last night when I was stopped by some guys I vaguely know. They live in the same building that I do, so we often exchange pleasantries, kidding back and forth, and so on. “You been out jogging?”, one of them asked me. (I was wearing shorts, so that was a question I expected). “No”, I respond. “Better ways to stay fit than jogging for hours, though there’s nothing wrong with it if you enjoy it”. “Ah, so you must have gone to the gym then, huh”, responds another dude, plucking at my shoulder. “How much weight do you use for your shoulder exercises” he then asked. He looked at me as if I’d said I could fly from the US to Antarctica within a matter of minutes. “Well, how did you get those well built shoulders then? 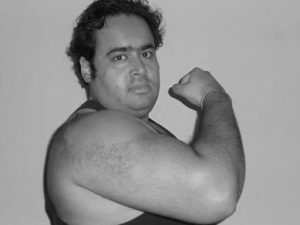 Everyone knows its not possible to develop the upper body well enough without a regular weight lifting schedule”. I grinned, and didnt respond. Then one of the other guys, who’d been quiet until now piped up. “He goes to the natural gym”, smiling and looking at me for affirmation. There’s more, my friend – there’s more – but I figured I’d give you a brief synopsis here. The rest of it is posted on my blog, but for now, let’s just say that this course WILL GIVE YOU the shoulders like boulders you have ALWAYS WANTED, my friend. The above was but ONE conversation I’ve had about this. And lest you think I’m genetically gifted or somehow “swallowed a magic pill” that has given me the results mentioned in the conversation above – well – you’re sadly mistaken to say the least. I’m not. I mention this repeatedly in 0 Excuses Fitness, and I’ll say it here as well. I’m by no means genetically gifted. In fact I’m a hard gainer if anything – and if I can get these results, you can probably get BETTER! But before we get into that, a bit on the STRENGTH part of all this. BUILD “ENRAGED grizzly like” levels of upper body strength – – that will turn YOU into an UNSTOPPABLE FORCE OF NATURE! I spoke about strength above, didn’t I? Well, I sure did – and there’s more, my friend. There’s more. And at this point you’re probably wondering where grizzlies and bears in general fit into all this, eh? I’m sure you’ve heard the tales about the legendary strength that grizzly bears possess, haven’t you? Grizzlies carrying 1200 lb plus moose up hill in their jaws – – and doing so for long stretches at a run, for one. Grizzlies tipping over and “playing with” 700lb dumpsters as if they were nothing but beach balls. An adult grizzly can easily kill a wolf or mountain lion – – or a BULL bigger than it – – with – – get this – – ONE swipe of it’s mighty forelimbs. ONE swipe! 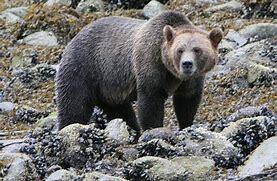 And yes – the grizzly does have the strongest forelimbs of any animal – – and where does this strength come from? The UPPER BACK – – and TRAPS, my friend. Take a look at the picture beneath. Take a look at the hump of muscle on it’s back – – quite literally blending into massive shoulders and even more massive forepaws. I don’t know about you, my friend – but I wouldn’t want that thing to be watching me at close quarters – – let alone when ANGRY! This hump of muscle is what gives the grizzly it’s amazing strength – – and it’s strength like that – – and traps like THAT that YOU will build when you incorporate the exercises in this book! Massive, powerful traps that seem to grow in size with every workout – – and that extend all the way up to the ears and blend in with mammoth “cannon ball” like shoulders that are every bit as powerful as they look – – and FEEL, at that. And no, I’m NOT kidding, my friend. I just got done with a handstand pushup workout, and as is often the case, I can barely get my shirt on above my traps as they feel “swollen” to about five times their normal size. This course is the one course, my friend that will give you those RAGING levels of upper body strength akin to a grizzly’s (or as close as possible) – – let alone an enraged grizzly, in which case one could reasonably and easily double or triple the strength estimates. 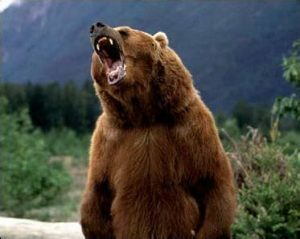 The mighty grizzly roaring – notice the way the traps just “melt” into the upper body and “forepaws”! Now, I’d be kidding if I were to say you’ll become as strong as a grizzly or even close when you do these exercises. No – you won’t come even close – but I would NOT be kidding you to say that you’ll easily be AT LEAST as strong as three average men combined once you get good at the exercises at this course. Not to mention way stronger and way more powerful that the average “gym bro” who despite his “garganturan” muscles would be hard pressed to even get into a handstand the way I recommend. And you’ll have the CONFIDENCE to boot – – the sort of confidence that only comes with knowing – – and feeling — that you have those “raging” levels of grizzly like strength to call upon if need be. Last, but not least, any serious trainee knows that the traps, upper back and shoulders are the hallmark of a man with REAL strength – – as opposed to the chest and other “show” muscles”. Show me a man with REAL strength, and I’ll show you a man with massive traps, huge shoulders, and an upper back the expanse of the Sahara desert. Other hand, show me a “pumper and toner”, and I’ll show you someone who lies down on a bench and grunts his way through a set of bench presses as quickly as he can as if that sort of unnatural movement were to build any “real world” strength (newsflash – it doesn’t – and thats precisely why most gym addicts cannot even get into a handstand, let alone do them the way I recommend they should be done). In a nutshell then – – shoulder and trap development is really what makes MEN out of boys, my friend. And it doesn’t just stop at the physical. These exercises will build MENTAL strength and GUMPTION second to no other – – and you’ll find that the obstacles life throws up in front of you seem to melt away like nothing once you incorporate these into your workouts. Believe me now, and trust me later, it takes GUTS to pound out handstand pushups in perfect form in sets of 15-20 or more over an entire workout, my friend. That sort of thing builds mental strength next to none. Back when I was a kid in high school, I was one of the skinniest guys around. I wasn’t much of an exercise fanatic back then – but something I’ve always wanted to have, is a huge upper body. At that time, I had no idea about how to train the body, or what parts of the body are the most important to train – or anything like that. All I knew was that I wanted a huge barrel chest along with arms to match. And mostly for the “look” – it’s sad, but true, that most kids at that age don’t have an inkling of what REAL strength can do for you. A few years later, I started to train regularly, and started doing push-ups on a regular basis. These didn’t quite give me the results I wanted, but then I found out I wasn’t doing them right. Once I started doing them right, I started to see results. Fast-forward a few years, and I’m doing like 250 push-ups per workout – on a daily basis – which is not a bad number to be cracking off daily. And I got more than the results I wanted from this routine but, I still wasn’t quite growing out of my shirts like I wanted to. I had a flat stomach, a strong chest – but my shoulders, while not under developed by any means, weren’t bursting out of my shirts. Now, at this time it behooves me to put in this “disclaimer” … And that being – If you think I’m “dissing” regular pushups and all the other variants I teach in 0 Excuses Fitness, well – no, no, and HELL no. The pushup (and I was discussing this with a good buddy of mine recently whose been in solid physical training for over 25 years) turns BOYS into MEN, my friend. And they will do the same for YOU. But, there was ONE thing lacking in my routine – and that was doing push-ups from a handstand position; in other words, handstand push-ups. Ever since I started doing this amazing exercise, I’ve never looked back. Take the above statement about turning BOYS – > MEN and AMPLIFY it by a factor of about a 1000, if not MORE. My upper body strength has skyrocketed – and my chest and shoulders have grown broader than ever before. I’m 37 years of age at the time of writing this, and not exactly a spring chicken any longer but I have a far stronger upper body than I’ve ever had before in my life. Not to mention my waistline – it’s currently way SMALLER than when I was “supposedly” in my prime at the age of 23! Not only that – you’ve already heard about the comments made about my “kungfu-grip” – and the “unnatural pull in your grip” etc – by people that KNOW what they’re yelling about. I’l bet you’ve read the testimonials as well on the product pages. And as for my shoulders – let me just say that most guys have that “look in the eye” when they look me up and down (upon meeting me for the first time). You know what I’m talking about, doncha? The look that says “he’s got SOLID shoulders”. Solid BRAWNY shoulders, STRONG shouders – and that “indirect” pat on the “broad” shoulders and the “involuntary” nod of the head that says “Hmm, this guy KNOWS what he’s on about” (much like was said in one of the testimonials I received). Now, I realize a lot of you reading this are going to get really excited and rush on to the nearest bench press station to “grunt out” reps before settling back down on the couch with a “well earned slice” – but if you think that’ll get you results anywhere even close to what I’m mentioning ,well I’m sorry to tell you bruh, but it’s NOT. Only thing bench pressing will give you is a blown rotator cuff down the road. Trust me. It’s an injury waiting to happen, my BROTHER. And EVEN if you aren’t interested in looks or strength (yeah – right! ), the handstand push-up does MORE than that. It does way, way more than that. It rehabilitates and builds up your shoulder muscles, as well as the surrounding tendons and ligaments. Remember that strong muscles are useless without strong connective tissues, and the handstand push-up goes a very long way in rectifying that problem. I’ve heard of many a case of an injured shoulder getting better – and pain free, and STRONGER via this exercises. Done correctly, there is no reason why you should not benefit from this movement either! Last, but certainly NOT least – it builds balance, co-ordination, total body awareness, and SPATIAL awareness as well. Try moving your body through space in an upside down manner, and you’ll soon see what I’m talking about. Shoulder power that you never knew you could possess and strong, meaty traps that pulse with life, vigor and POWER! You’ll never ever need a gym or weights again to develop the upper body – but people will be coming up to you asking what routine you follow in the gym regardless! You can wave goodbye to upper back , wrist and shoulder pain forever once you get cracking on this amazing exercise! New slabs of FUNCTIONAL muscle all over your back, giving you natural strength, energy and vitality that won’t let you QUIT! A barrel chest – without even targeting your chest muscles directly! You’ll exude confidence everywhere you go due to your newfound strength and look – the kind of confidence that you just can’t get by pumping iron for hours in the gym! Strong, wiry forearms that are every bit as strong as they look – and GRIP strength from HELL. You’ll build wrists of REBAR from these, my friend. A solid CORE and LOWER BACK workout without you even knowing it! Reduced fat and increased definition and muscular SIZE all over your upper body! Improved POSTURE, balance, OVERALL BODY “spatial” awareness and increased levels of overall upper/lower body co-ordination – these tie the kinetic chain together in ways you cannot even BEGIN to imagine until you DO them, my friend. Not only that – you’ll get a BRAND NEW AND UPDATED “supplementary exercises” section that when combined with the handstand pushups will literally make you look like KING KONG minus the hair, my friend. And here is an EXTRA BONUS – – I’ve added in an ADDITIONAL “FAQ’s” manual here as well. What do you get from that, you ask? Real questions, from real people. And real, solid useful ANSWERS as well. 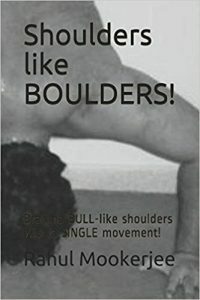 After I FIRST put out“Shoulders like Boulders” book in 2013, I had no idea it would take off like it did. I revamped it in 2017, and it met with the same degree of success/approval – – but with an added caveat. Readers were emailing me from all over the world asking me questions about this exercise, and good, interesting ones at that- – some I hadn’t even considered myself when putting out the initial course. I usually respond to a few of them (or as many as possible) on my blog but there is no way I can respond to EACH and every one of them personally – – but the questions kept pouring in regardless. And I finally decided to put it all together into a “FAQ” section – – added and extra bonus for you, and a GIFT from me to you to thank you for getting the course. The information contained in the book (not to mention the “FAQ’s” included, which is priceless by itself) will help you achieve all these goals, and much more. Now, I could easily charge you $150 or more for this course – and be justified in doing so. After all, how much money would you spend on gym memberships, costly surgeries to resolve your injuries not to mention the time spent in the gym (and time, as we all know, my friend is MONEY). And truth be told, most people would buy it at that price and still feel they got more than their money’s worth after working on the exercises I detail in the book. But guess what – I’m not going to charge you $150 or more for this. I’m going to offer it to you for a ridiculously low price of $79.99 to ensure that as many people as possible can benefit from this wonderful shoulder exercise – as well as OTHER VALUABLE SUPPLEMENTARY shoulder exercises I’ve mentioned in the manual that blow dangerous and ultimately crippling movements in the gym such as “lateral raises” and the “shoulder presses” right out of the water. That’s right – $79.99– as compared to thousands of dollars blown away in gym memberships per year, doctor visits, surgeries and the like. Now, I don’t know about you – but if I were given the choice to get powerful and pain free shoulders, I’d jump at in a New York minute, and wouldn’t delay one moment longer. Those that know me well know that swimming is one of my favorite pastimes. In addition to it being a a great, great overall body exercise, swimming is also fun and enjoyable to do. It’s good for overweight people, it’s good for toddlers, and it’s great for the average person looking to get in some exercise. Cannot say enough good things about swimming. Anyway, swimming reminds me of something I thought I should share with you. There was a guy at the pool I swim at who used to participate in bodybuilding competitions. And when I say bodybuilding, I mean it – he looked every bit the part. Gigantic muscles popping out in all directions, an unnaturally slim waist, the flared lats; you get the photo. Now to his credit, this guy was learning how to swim – one of the best things you can do – and being that I used to hare up and down the pool at a pretty decent clip completing my laps, he’d come up to me at times and ask me for pointers on how to improve his technique, breathing style, etc etc. Now, while I’m certainly no expert on swimming, I helped him out the best I could with what I knew and some tips that I thought would improve his swimming. And while doing so, we started to chat, and got around to talking about exercise routines. And this brought up the topic of bodybuilding, and what this guy did full time for many years before taking to the pool. And it aint pretty – think 8 hours of pumping iron (not kidding you – 8 full hours pumping iron daily), making sure he got enough food in him, and of course, the anabolic steriods which is pretty much a must – do if your anyone of any repute in the bodybuilding field. “Well, at least you must have built up a considerable amount of strength with all that weight training”, I told him. And his response was this: “Yes, to a degree – but whats the point? My muscles hurt when I swim with any regularity, and I’ve already had TWO heart attacks. My wife fears the third one could be the last, so I quit professional bodybuilding at that point”. So, how old was this guy? The answer may shock you – he was 30. That’s right – THIRTY years of age, bloated muscles and all – and TWO heart attacks already! Now, I bring this up not to point fingers at this guy and give him a lecture on how bodybuilding is BAD for him – he’s done that better than I ever could by changing what he does, and hats off to him for that. But, his routine is about par for most modern day bodybuilder, and that sort of routine is best AVOIDED. The trouble is though, that all those fake muscles get folks thinking that they’re the “real deal” – and they start to ape the bodybuilder routines – and thats when the problems start. Think about it – doing all sorts of exercises for 8 hours a day daily – and eating next to nothing except protein shakes and eggs – and bloated muscles that don’t work worth a darn in the real world. Is it worth it? I can just begin to imagine how that guy would do if I asked him to rep out 5 pull-ups in good form. . .
And as for HANDSTAND pushups – forget it – the dude would likely collapse in a heap if I even ASKED him to get into a handstand, much less execute, or TRY to execute a handstand pushup. Two heart attacks before the age of 30 and virtually no stamina/endurance left. Is it worth it? Only you can answer those questions for yourself, but I know what my answer is. And lest you think this type of thing is limited to bodybuilders, think again.”Professional” wrestling (not the real deal) is rife with cases of folks dying of drug overdoses, and movie stars routinely use drugs to maintain their “perfect” bodies. The question is though, what are YOU going to do, my friend? I mentioned pretty much everything the dude said to me in real life in the convo presented above – well, almost everything. While I did mention him telling me about his “ticker” issues at the “ripe old age” of 30, what I haven’t mentioned to you is the other comments he made to me – “man to man” as it were, and in the spirit of keeping this page “PG” rated, all I’m gonna say is that the ticker wasn’t the only thing not working correctly. He was having “pecker” issues as well, and as anyone that’s used steroids for a while will readily attest, while they may make your muscles bloat up unnaturally, you’ll experience “substantial size loss” in your “man bits” if you get my drift – – not to mention experience other “associated” problems. Show muscles, yes – beach boy muscles – yes – but what price the ticker, my friend? What price the pe … ah, but I think you get my drift? Question begets then – – what course of action are YOU going to choose now? Are you willing to set back and let the machines in a commercial gym control your workout – while burning a hole in your back pocket? Are you willing to put up with YEARS of frustration, and lost opportunity? Looking back and saying “oh, it could all be so different” is NO fun – trust me on that one. Are you willing to risk injury and lifelong pain – all to save a measly forty five buckeroonies?? If your answer to all the above is yes, well, I have no problems. If you’ve made it to this point, and still believe that bodybuilding is the best thing you can do for yourself, well, no further arguments from me. It’s your choice – and not really my business – so have at. If you are willing to put up with frustration and pain for years to come, well – no problems on my end there too. And AGAIN, and it behooves me to tell you this one last time – if you think the gym will give you the results you TRULY desire – and strength such as what is mentioned here – well – THINK TWICE my friend. In fact, think three or four times. Think very carefully indeed. What you get from this course will give you shoulders – and RESULTS – that you can NEVER achieve from hoisting heavy weights in the gym. Believe me – once that shoulder joint starts to complain from all the unnatural movements that they have you in the gym it’s a life long problem. Many of you know this from experience, but I’m telling you again. And that’s just the shoulder – need I mention the numerous “blown out lower backs” or “wrists that constantly hurt” or “upper back injuries” caused by years of trying to add weight on to completely unnatural movements in the gym? In a nutshell, let’s just say the HEALTH benefits you get from this course will last a LIFETIME, my friend – and that alone is worth it’s weight in gold. As will, of course the strength and functional fitness you acquire from doing these regularly. Not only that – they’ll blow any so called benefits you get from commercial gyms and hoisting heavy weights (and to be honest there are very few to begin with) RIGHT OUT OF THE WATER. You’ll be JACKED – you’ll look JACKED – you’ll have the strength and FITNESS to back that up as well – but the most important thing? You’ll FEEL jacked, my brother – you’ll literally feel like a bazillion bucks all day long, and this will translate over into confidence and success in ANY other activities you pursue in life. So don’t delay any longer, my friend. 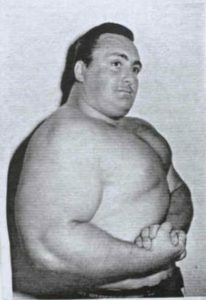 Quit dilly dallying and “browsing” around for the ideal solution to build shoulders that REEK of raw strength and power – – and have the bros, time wasters, pumpers and toners and machine wankers at the gym looking on in envy, amazement and bewilderment at the CENTER of the show – – the BIG SHOW – – YOU! It’s right here, and yours for the taking right NOW. Jump on it NOW – it’s the best 80 bucks you’ll ever invest in yourself! P.S. – BOTH THE conversations I’ve mentioned above are real life conversations, my friend. So don’t delay a second longer. Grab your copy of the course NOW – and get cracking on one of the very best exercises you can ever do.